$560.24 Stick to the Budget Young Grasshopper! New Pictures! Can't complain TOO much for the price. The outside materials are suprisingly nice, although the inside steel is a bit flimsy, nothing unexpected though. 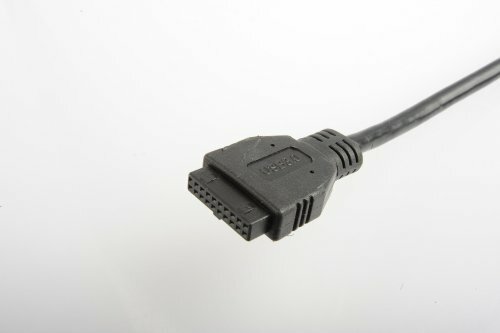 The real big points come off because the internal HD Audio connector is not long enough to reach if your HD audio connector on your motherboard is on the left (which a decent few are). 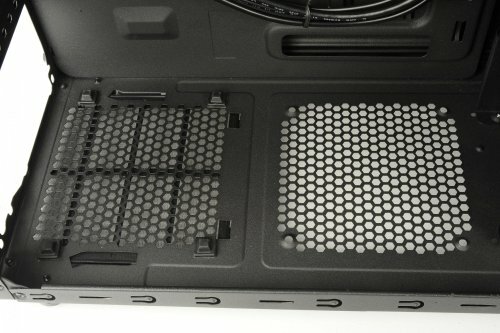 Points also deducted because they only included enough screws for the PSU + 3 PCIe slots. If you wanted to use more than 3 PCIe slots, you'll have to get some other screws. 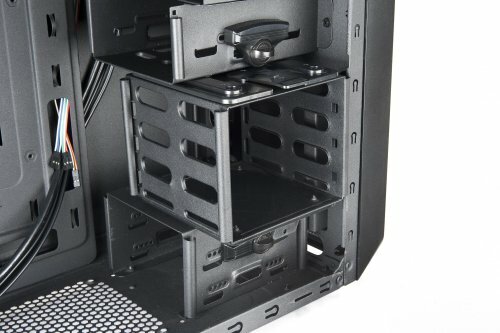 Lastly points are taken off for no proper 2.5" drive mounting, although this isn't a huge problem since you can basically tape down an SSD anywhere, it still seems like a pretty big oversight to not include any sort of proper mounds for 2.5" drives. Cable management was decent with a fair amount of tie down points. No rubber grommets, but I wouldn't expect them at this price. The screw-less/tool-less design for HDD as well as 5.25" and 3.5" bays works well enough. Overall not bad, especially for the full side window at this price. 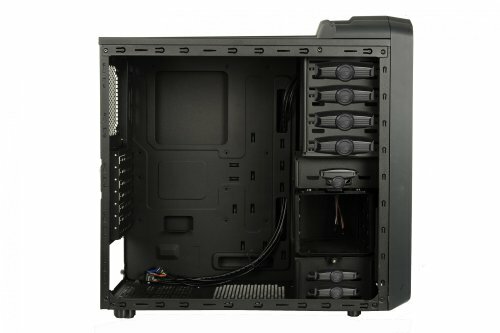 Amazing Case, Large enough to fit almost anything (w/ ATX mobo) and has plenty of expansions slots, (but I had a hard time figuring out how to attach the fans. I'd probably stay away form this case. Ten dollar case! Thank you, sales and mail-in rebates (that actually work!). 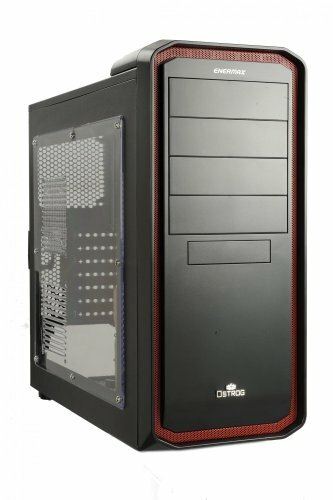 Definitely the best-looking case available for under $20. Cable management exists. No SSD mount, mine is currently restrained by gravity (soon to be zip-tied!). It has a PSU filter! The back also has a convenient headphone cord guide as you can see in my last pic. The fan mounting locations in the window are kind of ugly, but I digress. The fact that it holds my components makes it worth the price I paid, everything else is a bonus. Outfitted with four Rosewill fans, all free after MIR from Newegg. Yes, it's loud. No, I don't care. 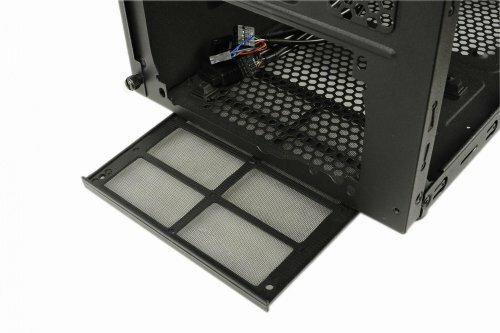 It gets great airflow. 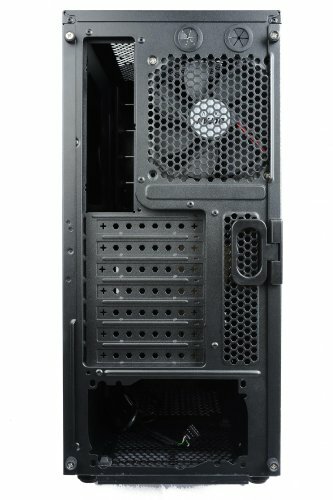 I'm gonna have to give this three stars because, while it is an affordable ATX mid-tower, has moderate air circulation, and (surprisingly) AIO compatibility; what it significantly lacks is CABLE MANAGEMENT!!! When I rerouted some of my HDD/ODD and PSU cables, the back cover would barely slide back into position. 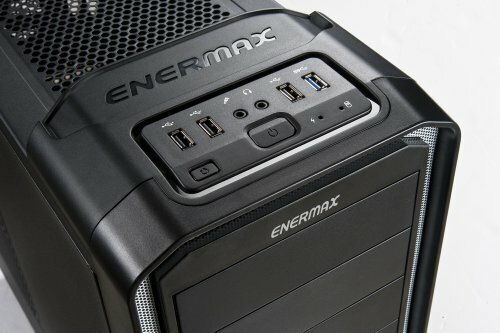 Enermax, if you're reading this; PLEASE, PLEASE do what Cooler Master is doing, and have better, more efficient cable management.